The haters knew it all along: this team was destined to fold. Last year, my Washington Nationals captured the National League East championship and made the playoffs for the first time in their eight-year history, but they went no farther. That was evidently because they offended too many self-proclaimed baseball pundits with their “arrogance,” the worst sin there is in the eyes of the baseball gods. What the experts howled about most was the untimely shutdown of ace pitcher Stephen Strasburg, which took place before the playoffs began. The Nationals chose to follow the widely recognized medical protocol for pitchers who have undergone Tommy John surgery. They did this with the approval of Strasburg’s surgeon, one of the world’s leading experts on the treatment of pitchers’ elbow injuries. The decision was based not only on medical theory, but empirical evidence that Strasburg’s effectiveness was declining late in the season. You would think from listening to the baseball pundits that the Nationals had deliberately torpedoed the kid’s career by considering his long-term health. They accuse the Nats of figuring they’d easily return to the playoffs the following year, and all subsequent years when they’d have Strasburg’s services for the entire season. Now the geniuses can gloat, because the upstart team failed to make the playoffs in 2013. According to the common pundit wisdom, the Nats probably blew their one and only chance to make it to the World Series! Clearly, the team was felled by high expectations. The players were accused of complacency, or maybe they lacked confidence in crucial situations. These reasons seem contradictory, so which was it? The experts can’t quite decide, but either way, they know they were right all along. 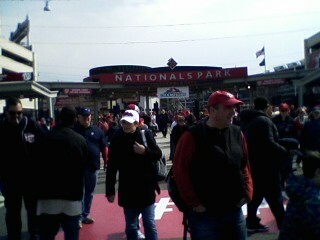 The Nats were arrogant, and that brings about deadly baseball curses. Why don’t we fans just accept the mystical explanation, and never mind extraneous nonsense like scientific data and medical protocols?